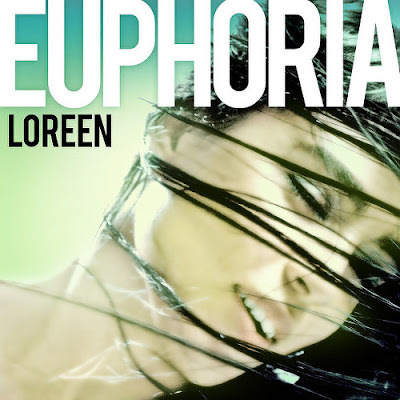 Loreen’s ‘Euphoria’ is the most successful winner ever in the history of Melodifestivalen. With 670,551 votes according to the news daily Aftonbladet, the singer easily took home top honors last night ahead of Danny Saucedo’s ‘Amazing,’ and is now set for Azerbaijan’s Baku this May. I’ve had visitors from almost 50 countries, ending up on my blog after a Google search for Loreen and/or ‘Euphoria’! This includes the UK, Netherlands, Norway and non-Euro countries such as the US and Ecuador. Melodifestivalen hasn’t been this popular since Carola won with ‘Evighet’ (dubbed ‘Invincible’ in the Eurovision). More than 2m viewers watched the contest according to news daily Dagens Nyheter, where Loreen both won the hearts of the international jury as well as the Swedish tele votes. Loreen is currently working on her debut album, which is slated for release this September. I was disappointed in ‘Euphoria’ ‘only’ making it to No.12 in its first week, the single vaulted to No.1 on Friday, adding another week on the digital songs chart Digilistan. Letting an international jury vote for a winning track is a clever way of getting acceptance in the Eurovision. Last year, ‘Popular’ managed to win bronze and already Sweden is a top favorite with international betting companies. The use of ‘Euphoria’ in the Spanish promo for Gossip Girl, is just one indication that the track has a pan-European potential. I will make sure to cover Loreen’s way to Baku and hopefully she will take the Eurovision by storm. I predicted that ‘Euphoria’ was the path to success upon Loreen winning the first heat in Växjö last month. Sure hope that you agree with me. The moment I heard Euphoria, I just knew that this was a heck of a song.